WASHINGTON — With the fiscal year winding down, Senate lawmakers on Tuesday advanced a multi-agency appropriations deal that would prevent a government shutdown and give the Defense Department its full-year budget on schedule for the first time in a decade. 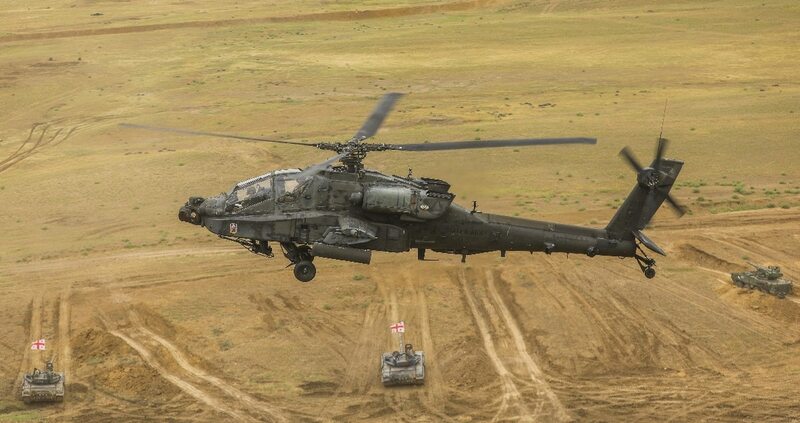 The measure, which provides for more than $606 billion in base defense spending and nearly $68 billion more in overseas contingency funds, is in line with White House requests and spending targets outlined in the annual defense authorization bill approved earlier this summer. “After subjecting America's all-volunteer armed forces to years of belt tightening, this legislation will build on our recent progress in rebuilding the readiness of our military and investing more in the men and women who wear the uniform,” Senate Majority Leader Mitch McConnell, R-Ky., said before the Senate vote. The funding total — approved by a 93-7 vote — amounts to an increase of more than 3 percent for military spending in fiscal 2019, but as important as the boost is the timing of the measure. In recent years, Congress has struggled to pass any appropriations measures before the start of the new fiscal year, relying instead on a series of budget extensions to avoid partial government shutdowns. That has infuriated Pentagon leaders, who have said the fractured appropriations process prevents them from keeping equipment purchases and new program starts on time. If the House finalizes the appropriations measure next week and President Donald Trump signs it into law in the following week (all parties involved have already signaled they expect to do so ), it will mark the first time since 2008 that Congress and the White House have passed their spending plans on time. Senate Armed Services Committee Chairman Jim Inhofe, R-Okla., called that “a major victory” for Congress and the military. The measure funds a 2.6 percent pay raise for troops starting next January and a boost in military end strength of 16,400 spread across the active-duty and reserve forces. Operation and maintenance spending totals $243.2 billion of the defense total, and research and development efforts another $96.1 billion. Defense health and military family programs would receive $34.4 billion. Lawmakers finalized a $674.4 billion defense spending bill. Here's what's in it. The National Guard and Reserve Equipment Account would also see a $1.3 billion boost from the appropriations plan. In order to avoid political fights over non-defense spending levels, lawmakers agreed to package the military budget bill with the full-year funding for the Departments of Health and Human Services, Labor, and Education. In addition, the legislation contains a budget extension for a handful of agency budgets lawmakers have not yet finished negotiating. The move will prevent a government shutdown at the end of the month, when the fiscal year ends. Several senators lamented before the vote that all of the appropriations bills have not yet been finalized, but for the first time in years, defense advocates aren’t among those complaining. In addition to the full Defense Department appropriations plan, lawmakers last week finalized a spending plan for military construction projects and the Department of Veterans Affairs, covering nearly all aspects of national defense and military personnel spending.